2 MAY 2019, around 10.15 am, I’ll be on BBC Radio Northampton chatting to Bernie Keith. Why? Because it will be publication day for A Summer to Remember! It’s always great to see Bernie, his lovely dog Riley and ace producer Sarah. We’ll chat about the book and whatever’s happening in my life and Bernie’s. 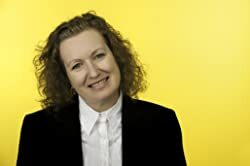 24 MAY 2019, at noon, I’ll join Helen Blaby for the ‘In the Chat Room’ feature. It’s always fun! Helen assembles a great panel of two or three guests. We choose our subjects ahead of time and sometimes we even get around to talking about our choices … Last time we seemed to segue from summer holidays to sexual identity – both subjects on which everyone had an opinion. And I hope that 2018 has been kind to you. Just time for one more great review of A Christmas Gift before Christmas, I think. Thanks to Louise of Bookmarks and Stages for this shining-bright five-star review! Sue Moorcroft writes award-winning contemporary fiction of life and love. The Little Village Christmas was a Sunday Times Bestseller and The Christmas Promise went to #1 in the Kindle chart. Her latest release, The Christmas Gift has also become The Sunday Times Bestseller this year (2018). She also writes short stories, serials, articles, columns, courses and writing “how to” guides. An army child, Sue was born in Germany, then lived in Cyprus, Malta and the UK, and still loves to travel. Her other loves include writing (the best job in the world), reading and hanging out with friends, dancing, yoga, wine and chocolate. A lovely review from Linda Hill of Linda’s Book Bag. I just wanted to share this one as I try very hard for authenticity in my books and Linda’s comments have painted a big smile on my face. 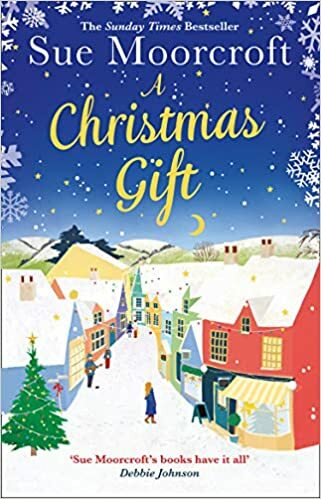 I always feel so privileged to be part of Sue Moorcroft’s street team and so it gives me enormous pleasure to be part of the launch celebrations for her latest book, A Christmas Gift, by sharing my review today. A Christmas Gift was published by Harper Collins imprint Avon on 1st November 2018 and is available for purchase through the links here. Lovely review here from The Ginger Book Geek. My blog post for my stop on the blog tour for ‘A Christmas Gift’ is going to be slightly different to the majority of my blog tour posts in that this one will come in two parts. The first part (this part) contains my review and the second part contains an extract from the book to give you a taster of what to expect when you pick the book up for yourselves. I hope you enjoy reading it just as much as I did. Georgine loves Christmas. The festive season always brings the little village of Middledip to life. But since her ex-boyfriend walked out, leaving her with crippling debts, Georgine’s struggled to make ends meet. To continue the celebrations of publication of A Christmas Gift, I’ve invited a few people to tell us what they feel about fab Christmas books and to include a Christmassy pic if they felt so inclined. “Reading my first Christmas book of the season gives me all the happiness and warmth of biting into a festive mince pie or slurping delicious mulled wine on a cold winter’s evening. As the dark nights draw in, a Christmas story brings light, fun and hope – a teaser for the many festivities that lie ahead. And that’s why I can’t possibly confine myself to a Christmas read for just one season – they bring me joy all year round! “All books are special, but there’s something truly magical about Christmas books. Nothing comes close to snuggling under a fleecy blanket on a chilly day with a mug of marshmallow-topped hot chocolate and a plot packed full of festive events and seasonal spice! Heidi has her own brand-new Christmas book out, too! Look out for Snowflakes and Cinnamon Swirls at the Winter Wonderland. Congratulations, Heidi! “I love Christmas. It’s the very best time of year. It’s not the day itself, it’s the run-up and all the prep work. Yes, it’s manic, but my escape at the end of the day is to curl up with a Christmas book. It has to be a romantic story, all snowflakes and tinsel. It is by far the best way to escape the world that is supermarkets and worrying if Amazon will deliver on time. I love to be able to curl up and immerse myself in a wonderful Christmas Wonderland before reality strikes and I’ve got to worry about Turkey timings! I love Christmas books more every year! Until I began to write them I simply hadn’t realised how many readers looked to them for Christmas build-up excitement, Christmas reading-time and Christmas gifts. Right from my first Christmas book, The Christmas Promise, I got swept up in the fun – especially when The Christmas Promise rewarded me so handsomely by being a Christmas #1 on Amazon Kindle – and it’s great to see my latest, A Christmas Gift, on the shelves. All my life, books at Christmas have been favoured gifts, both to give and to receive, whether they’re set at Christmas or not. Today A Christmas Gift is published as a hardback. Even the picture above doesn’t really do it justice, as it’s ornamented with foil and shiny things. There’s something special about a hardback book. So far as I’m concerned, this particular volume is special because it’s my first ‘proper’ hardback, so it feels like a promotion. I’ve had occasional hardback library editions or foreign editions but nothing quite so special as this. A Christmas Gift it is for me! And we hope it will find its way under a lot of tees and into a multitude of stockings this Christmas. It is, after all, such a lovely easy shape to wrap. and Joe Blackthorn, who’s disillusioned not by success, but by what some people are prepared to do to achieve it. Thanks to Portobello Book Blog for inviting me on to share #TenThings people may or may not know about me. I thought it would be nice to share it here too. If you are a regular reader of this blog you will know I am a big fan of Sue Moorcroft’s book. It’s a little too early for me to start reading Christmas books but I couldn’t miss out on the chance to take part in the blogtour for her latest novel, A Christmas Gift. It is published by Avon Books and available in ebook just now – order your copy here– and it will be published in hardback on 1st November. I will, of course, be reviewing the book, probably sometime in November. Today I’m sharing #TenThings that Sue Moorcroft would like her readers to know about her. This is a superb seasonal read with great characters, plenty of background as well as turmoil in a fantastic second chance romance – no wonder it is tagged as “The #1 Christmas bestseller returns with the most feel good romance of 2018”! Starting with debt collectors knocking, the story has so many dramatic moments and even has a Christmas production to be performed! Much of it is based at Acting Instruments, the performing Arts college in Middledip and revolves around one the the staff there, Georgine France and someone who unexpectedly joins the staff. 2 MAY 2019 – Publication of A Summer to Remember in paperback, ebook and audio. 20 MAY 2019, 8pm-9pm – #UKRomChat Twitter chat. Follow the hashtag or @SueMoorcroft and ask Sue about her writing life and join the conversation.